ACO’s gravity grease separators ... provide hygienic, effective solutions. Waste water containing fat, oil and grease (FOG) entering the public sewage system not only affects the performance of any internal or local external drainage system, but can also have a major impact at the regional level, resulting in water pollution, obstruction of drainage infrastructure and reduced efficiency of municipal network and waste water treatment plants, says a spokesman for the company. A significant problem for kitchen and food preparation areas, he adds, is collection of this FOG within the drainage system. 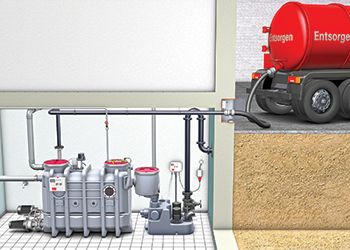 ACO offers a wide range of grease separators and grease trap systems based on European Norm EN-1825 guidelines, which provide hygienic, effective methods of dealing with these substances. These include a selection of accessories to suit all applications and considering limited usage of water for cleaning purposes. There are, however, a number of factors to be taken into account when deciding on a suitable system, the spokesman says. To back its efficient systems, ACO has a wide network of trained distribution partners who can support in installation and service of equipment in various regions of the Middle East. ACO’s technical team based in the UAE headquarters supports clients and consultants in design, selection and technical information. Ready availability of critical spare parts is an advantage for quick troubleshooting, he adds. 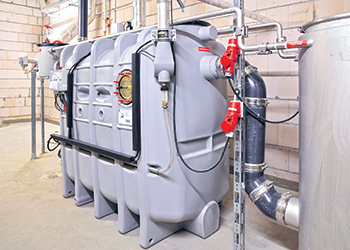 ACO has supplied its grease separators to several prestigious projects such as the Dubai Mall, Burj Al Arab, Bluewaters Development, Bulgari Hotel and Resort, Marsa Al Seef Development, Jumeirah Beach Hotel, Dubai Opera, Address Hotel, Nikki Beach Hotel & Resort, Hilton Hotel, Sheraton Hotel, and Palace Hotel in the UAE; Vendome Mall and Salwa Beach Hotel Resort in Qatar; Al Kout Mall in Kuwait; and City Centre in Bahrain. ACO Building Drainage is a division of ACO Technologies. ACO has a warehouse and office located in Jebel Ali Free Zone in Dubai, UAE, from where it provides services and support throughout the region for ACO distributors and their customers in the Middle East.